Meet handsome Carlyle! 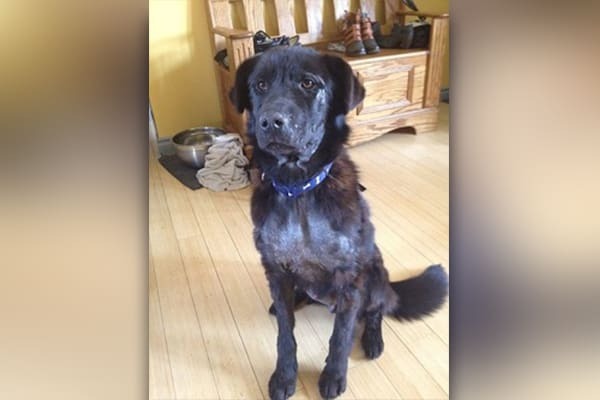 – an 11 month old Labrador cross who came to New Hope from the Prince Albert SPCA. He was diagnosed with non-contagious mange, but the poor guy also had a number of quills festering in his face! On May 20th 2014 Carlyle had surgery to remove 30 quill fragments from his muzzle that caused him a lot of pain. The swelling also made breathing difficult for him but after his surgery he did so much better! 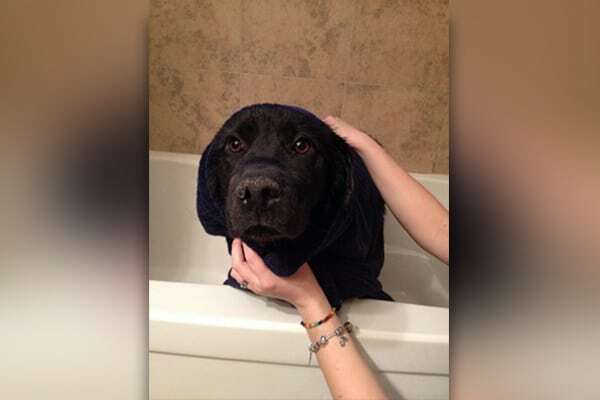 Carlyle also underwent treatment for his skin condition. Carlyle’s face healed and his coat became soft, silky and shiny! This handsome boy has found his loving furever home! Donating to our Guardian’s Hope programs ensures that dogs like Carlyle get a chance at life!